See nothing has changed for the better in Ireland. Another extreme scam is about to be presented and gift wrapped up to the Irish public as the new good thing . Hundreds of windfarms could be built on Ireland's great bog of Allen to generate electricity exclusively for the UK's national grid under plans being considered by ministers. Element Power, the company behind the �5bn proposals, hopes to build more than 700 turbines and transport power through two dedicated undersea cables across the Irish sea. Notes for attention about this giant windfarm scam plan that Pat rabbitte is going to approve He has already made your mind up for you. In Wales, as in other parts of the UK, there have been large demonstrations and protests against the building of wind farms. Greenwire's Ireland plan is seen as a way of avoiding such confrontation in future. UK and Irish ministers will today sign an agreement that could see some of the world's largest wind turbines built across the Irish midlands. Stretching more than 600 feet (180 metres) in the air, the towers are set to generate energy for millions of UK homes from 2017. The companies involved say the Irish power is a cheaper form of renewable than UK offshore wind. One of the developers, Element Power, says the plan would save UK consumers around �7bn over 15 years compared to other renewable sources. Nothing has changed in Ireland. A different bunch of Incompetent Politicians being led by the nose by private business chancers. Private business chancers who seduce or corrupt or bribe Politicians to sign up the Irish public into subsidizing their private business ventures. Like the banks, they take all the profits, but you take all the risks if it fails. Wind farmers are from the same chancer stable as developers, they are looking to make big money for no personal sweat. Irish Farm dole - google it. A select few extremely wealthy landowners (they are not real farmers) are already getting so much subsidy from the Irish tax payer. They are not interested in Ireland or the Irish people, they are interested in personal fortunes. Making money from mass misery, and approved by the Politicians. 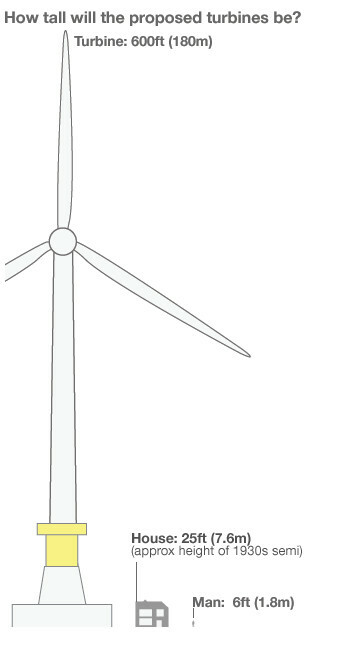 700 Giant windfarms that would not be approved in Britain are to be to be built in Ireland for the benefit of Britain. Thousands of jobs for Ireland is the carrot, this is a lie. If you Irish want the real facts on the jobs claim, then all you have to do is go find out how many are actually currently employed full time now on the 11oo plus (mostly state subsidized) windfarms already blighting all over Ireland. Or look at journal post from someone claiming to work in the industry. 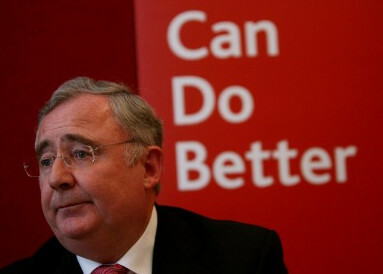 This genius actually thought he was dismissing the jobs boom doubters. "For all the people saying all the work will be done by foreigners this is not true, take it from a person who works with one of these company�s. We have just over 300 turbines in Ireland and employ over 100 Irish people"
Brilliant so we can expect around 200 jobs for these new 700 giant wind mills obscenity. But sadly not the tens of thousands as vaguely promised / suggested with no credibility what so ever by those behind this scam. The few thousand temporary short term contract jobs that will be available during the construction phase only, will not be exclusively for Irish people, far from it. The jobs will go to tender and probably be mostly filled by large UK contractors or eastern European price under cutters. Ireland has become a nation of ignorant fools who would clap and bark to order like seals. Sell their soul if they imagined a short term sweetner. You question nothing. Good luck to you decent people in Ireland, feel so sorry for you. You are going to get nothing but a liability in this scam. A giant Windfarms scam for private business & uk interests. Andrew Duncan, spokesman for the Lakelands Wind Information group, opposed to the plan. People don't actually understand the scale of them. Putting up the largest turbines in the world without consultation - I think it is ludicrous, to be honest. It seems to be an Irish solution to a British problem - politically they don't want turbines on the British countryside, they are under a lot of pressure from the general public over there and it seems they want to impose these wind farms on the Irish general public instead. Mr Duncan says that he believes that political opposition to wind energy in the UK is the real reason behind the plan. Richard Tol, professor of economics at University of Sussex, said he felt that the whole scheme was crazy and would not work in the long term . From an Irish perspective this is not selling the family silver; this is giving it away. There is no money staying in Ireland that I can see. Richard S. J. Tol is a professor of economics at the University of Sussex. He is also professor of the economics of climate change at the Vrije Universiteit Amsterdam. He is a member of the Academia Europaea.